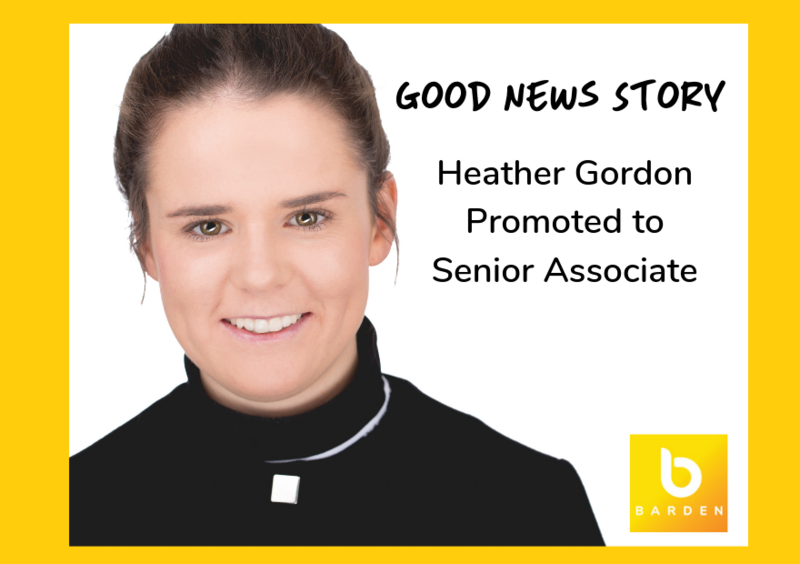 We’re delighted to announce that Heather Gordon has been promoted to Senior Associate with Barden. Heather leads on the recruitment of accounting professionals in the practice and consulting space. She also supports the recently qualified accounting market for those seeking industry accounting roles. Since joining us in February 2017 Heather has been an integral part of the team. She is driven, dedicated, kind and professional in all she does and a champion of the Barden Career Model. In the last two years alone, there’s been lots of hard work, over 250 cups of coffee and with 40 assignments completed Heather is changing lives, helping people to achieve their ambitions and make their professional futures happen. Prior to joining us team Heather worked in the Human Capital Consulting team in Deloitte, where she gained first-hand experience in a wide range of areas such as organisation design, people analytics and project management. Her background in a Big 4 consulting firm provides her with a unique insight into opportunitiesin this area. Well done Heather from all your Barden buddies.